A few weeks ago I sorted out three hanging baskets for the backyard in the hope of growing my very own Home Grown Strawberries for the first time ever! 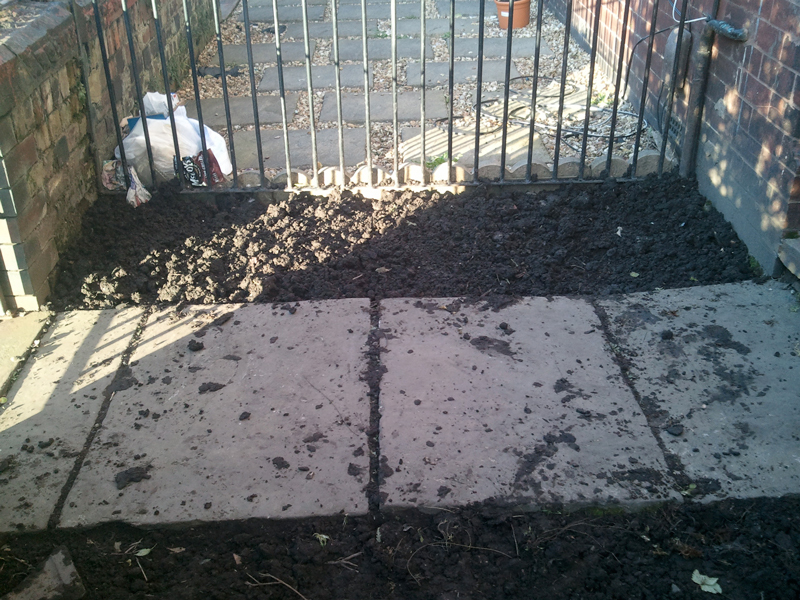 So now it’s about time I updated this ‘ere personal record of what i’ve been upto with regard to growing my own veg in the front garden? 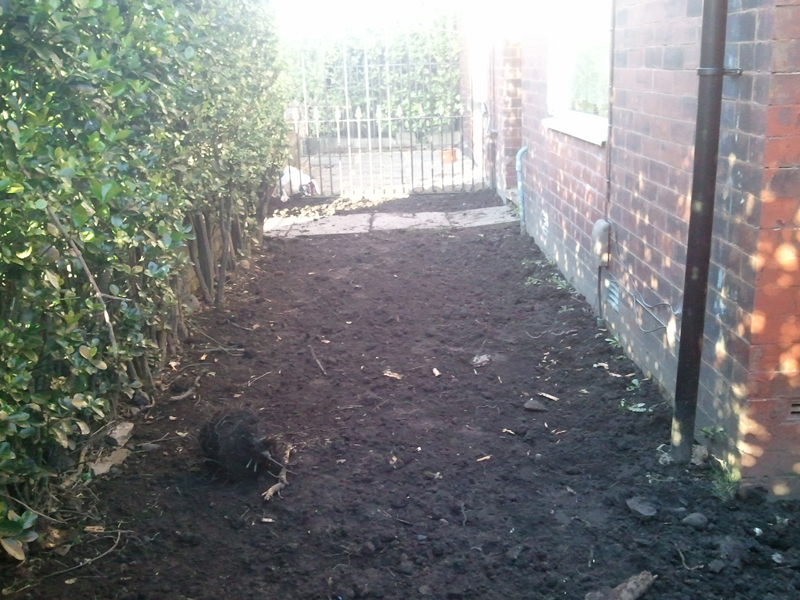 As suggested earlier, i’ve dug over the front garden a couple of times to get ready for planting my veg for this year. Don’t forget that i’m a complete novice at this and this year is really and truly a massive learning curve for myself when it comes to growing me own fruit and veg. As you can see from the images above, now that i’ve turned the garden over I thought we’d just go with the flow and see what happens over the next few months? 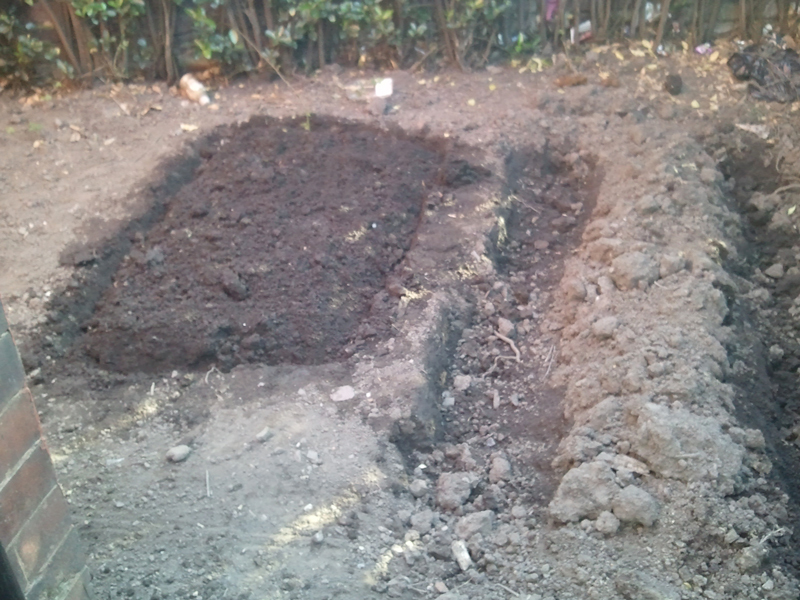 My aim for the Home Grown Project of Guerrilla Podcasts was quite literally gardening on a budget, whilst i’m resting as some would say :(. Taking into account financial constraints, a desire for personal development in learning how to grow my own whatever to feed myself and hopefully try and achieve something new just because it sounds like a plan! Back in early February as you may know? 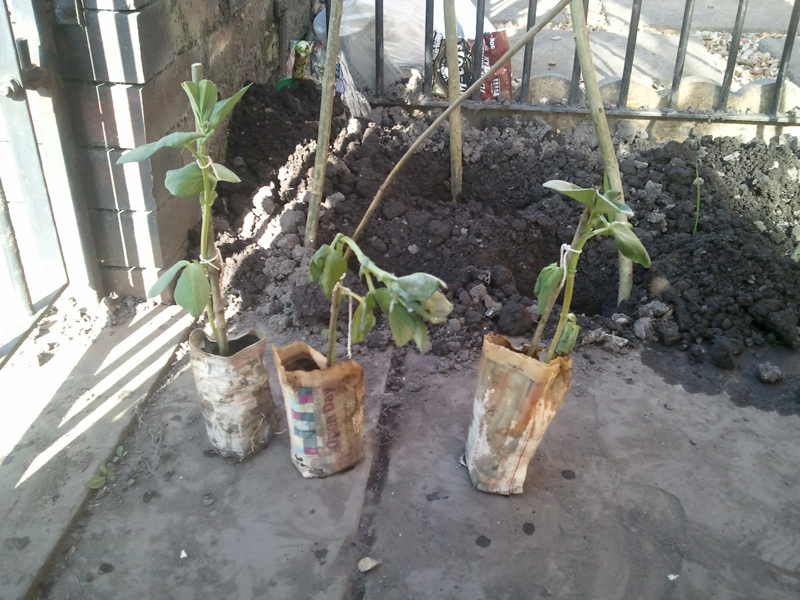 We made a few plant pots of our own using recycled local newspaper and subsequently planted several broad beans in multipurpose compost. 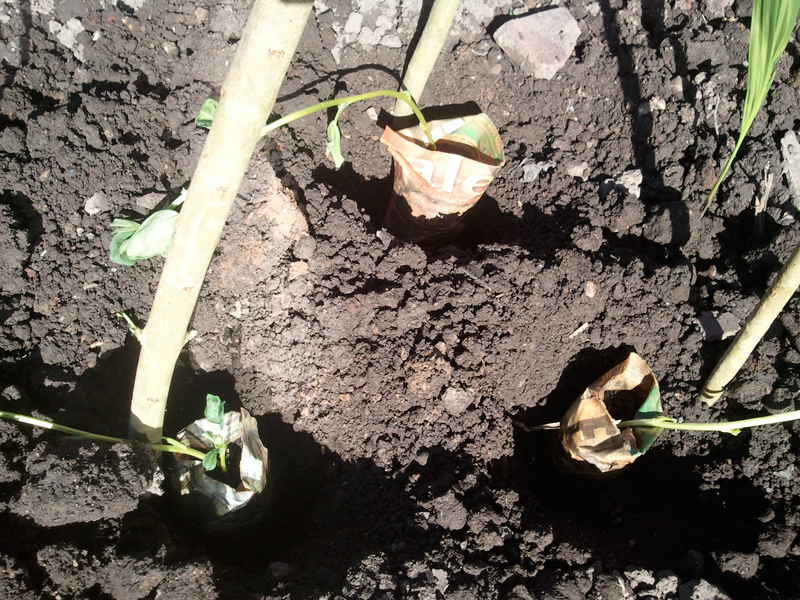 Patience on my part was the key and after a couple of weeks them there beans started to grow as you can see from the image on the left. 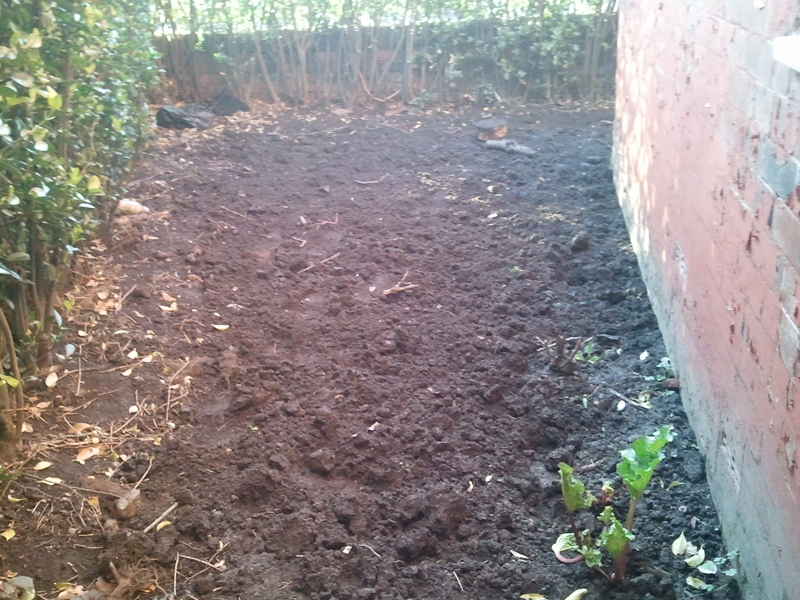 Like I said before, the fact that i’m a complete novice meant that I wasn’t 100% sure of how long you should wait to even attempt to plant the broadbeans outside and the temptation was massive to plant them earlier in March. Though I was told it may be too cold and that could just kill them off, best to wait a little longer was the advice, so as you can see on the right i popped them outside in the back yard on warmer days and bided my time. Guerrilla Podcasts ‘Home Grown’ is all about growing whatever for the first time, whilst at the same time keeping an online record of our successes and failures by trial and error as we learn something new for the future. 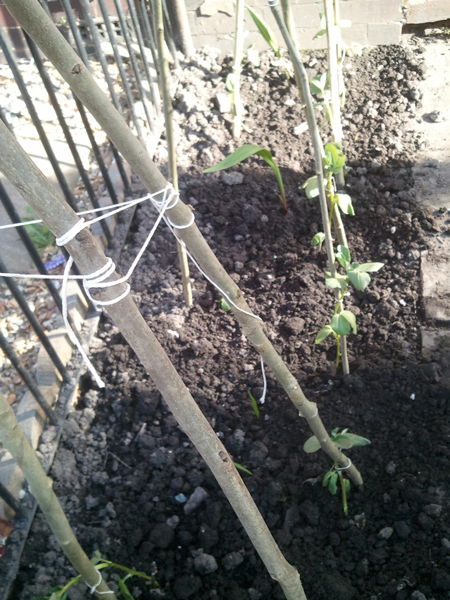 Bearing in mind we’re also diy gardening on a budget and as such i’ve tried to keep outgoings to a minimum wherever possible so when it came to needing poles to support the broad beans a little lateral thinking came in handy. 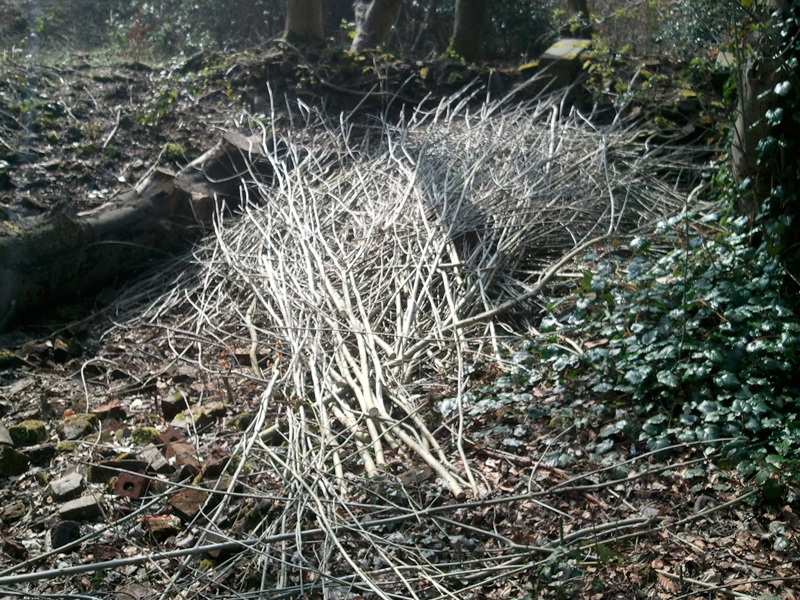 If you happen to listen to Cyphreinc Podcasts #025 you may know that i’m volunteering where i was able to source and recycle ash branches that i could trim down and subsequently use in the garden. 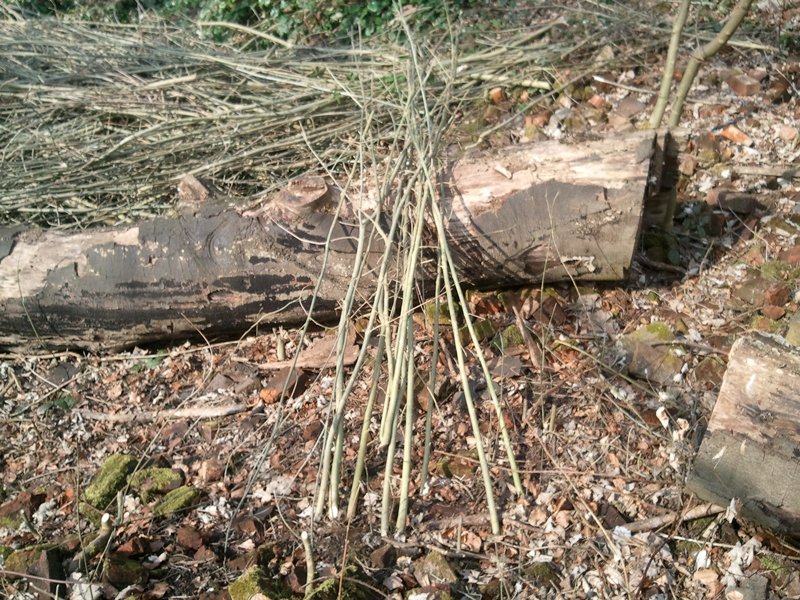 Recycling Ash Branches Used for Home Grown Garden Poles. Using the ash branches above certainly worked in my humble opinion and would hopefully allow the broad beans enough support as they grow during the next few months. 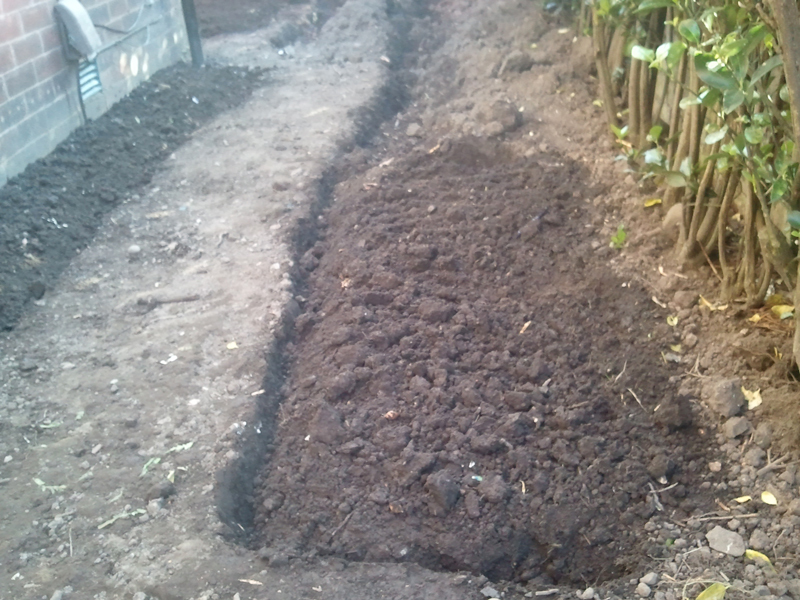 The video below is really a personal record of my turning the soil again, creating three wigwams using the ash branches and planting the broad beans complete with the home made plant pots. Video is something that is also another massive learning curve and obviously a work in progress as I get used to doing everything for myself, learning as we go, what works, what doesn’t and seeing myself is something that i’m still getting used to, though that’s probably the same for most people. Cheers if you happened to clock the video and yes you’re right it could have been made shorter. No Worries in my book as it’s a personal record rather than an instructional video of my creating three wigwams using three ash branches on each wigwam and planting the beans at the base of each branch. 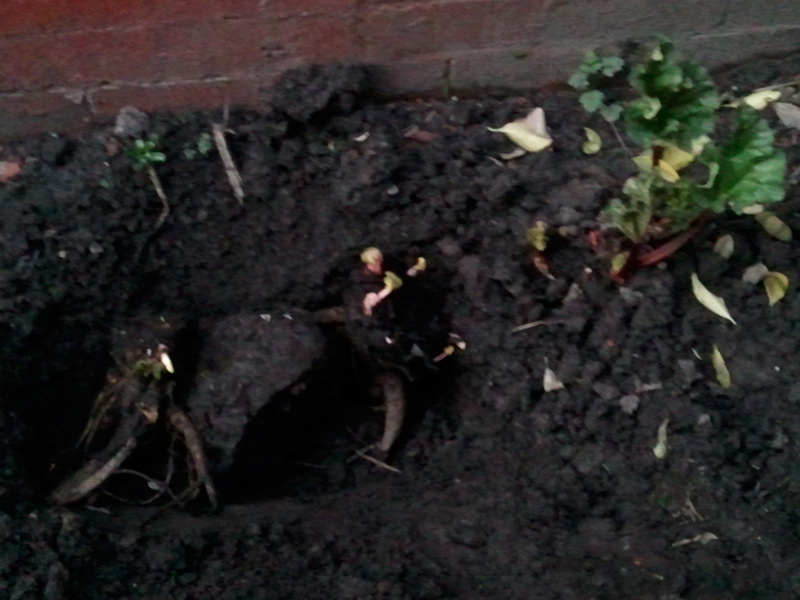 All I did for the video was point the camera, click record, then got on and dug the garden over, so I thought i’d show you the images of the broad beans just before and just after they where planted in the garden prior to being covered by soil. 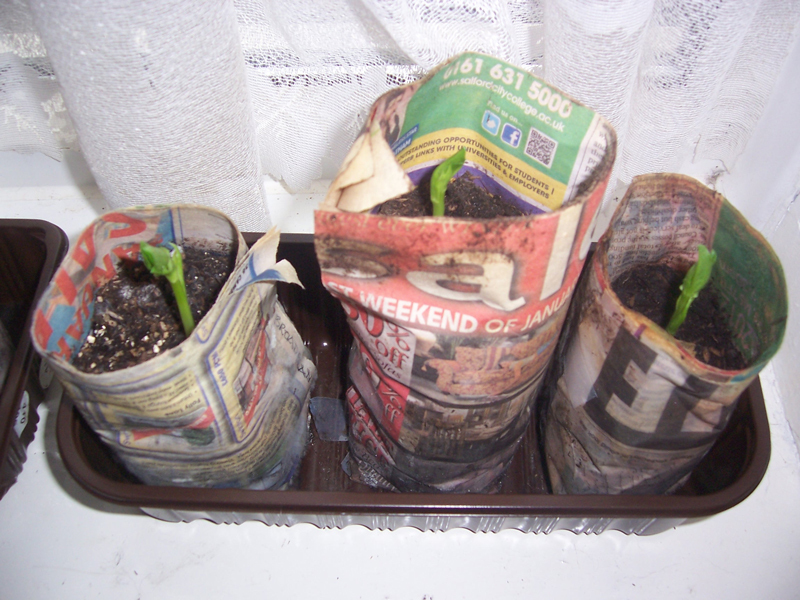 The photo on the right shows the broad beans still in there home made pots that they were grown in ready to be planted in the garden. Whilst the photo on the left shows the broad beans planted in the garden again still in there home made plant pots at the base of each of the three recycled ash branches used to create the wigwams. 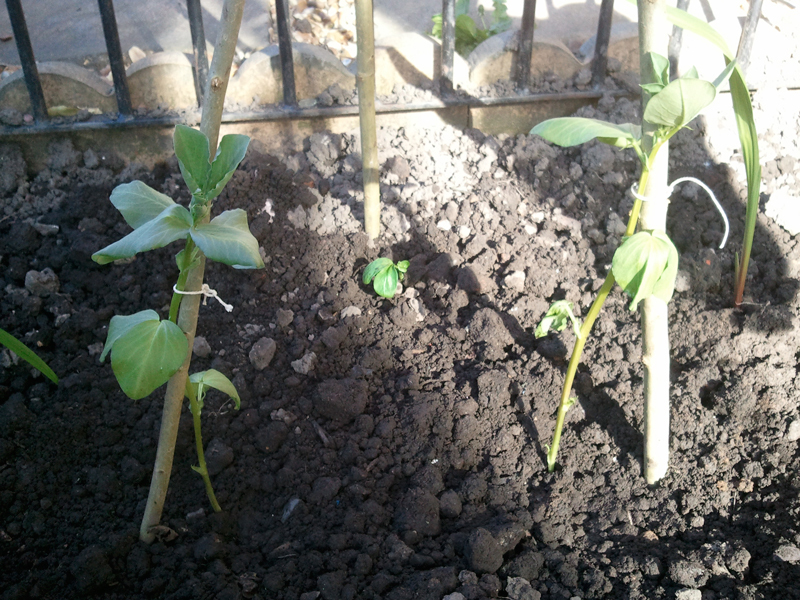 Guerrilla Podcasts Home Grown Broadbeans. Who knows what will happen in the next few months? 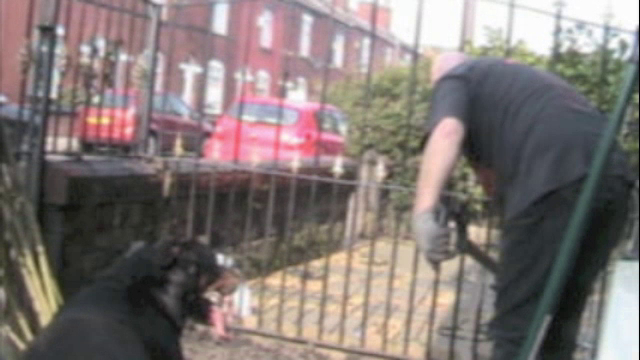 One never know’s we may just be eating my front garden as planned sometime in July / August. 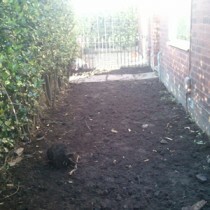 So for the now it’s all but job done as we go with the flow, wait and let mother nature do what she does. 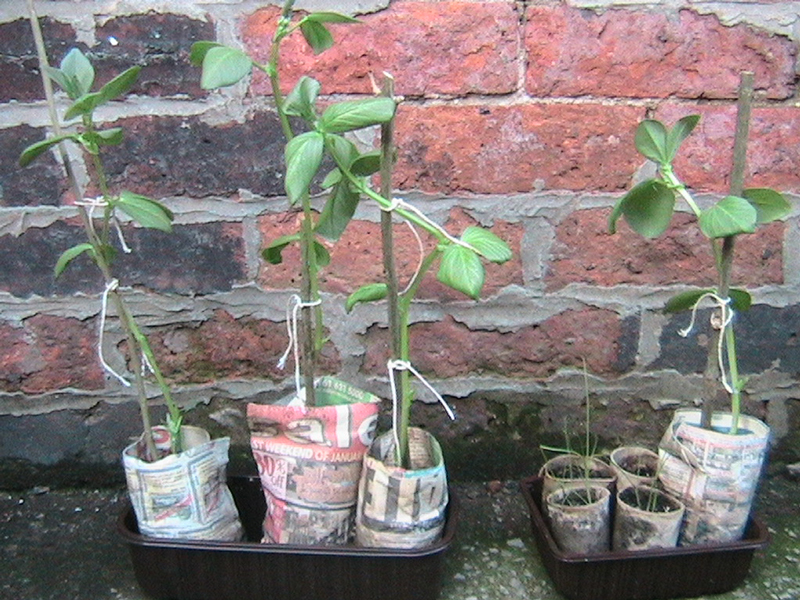 Home Grown Broad beans Supported by Recycled Ash Branches. Guerrilla Podcasts Home Grown Butternut Squash, Potatoes & Onions. Guerrilla Podcasts Home Grown Rhubarb.